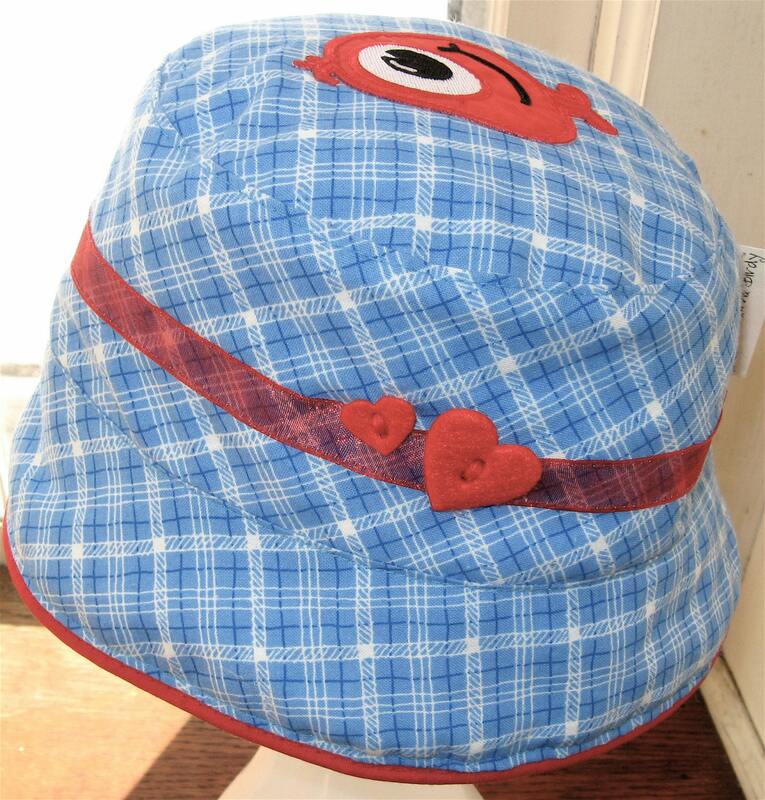 This blue and white plaid baby hat is decorated on the crown with a little one eyed monster. 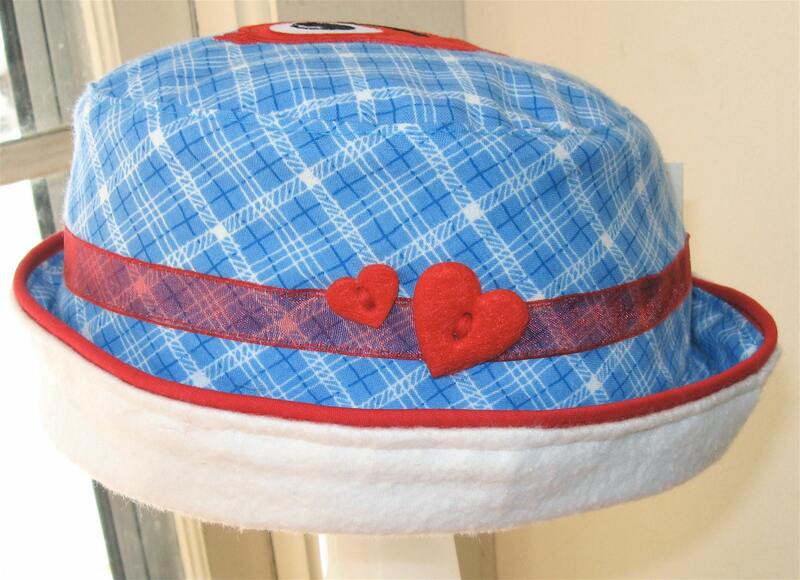 The band of the hat is trimmed with ribbon and two little felt hearts. 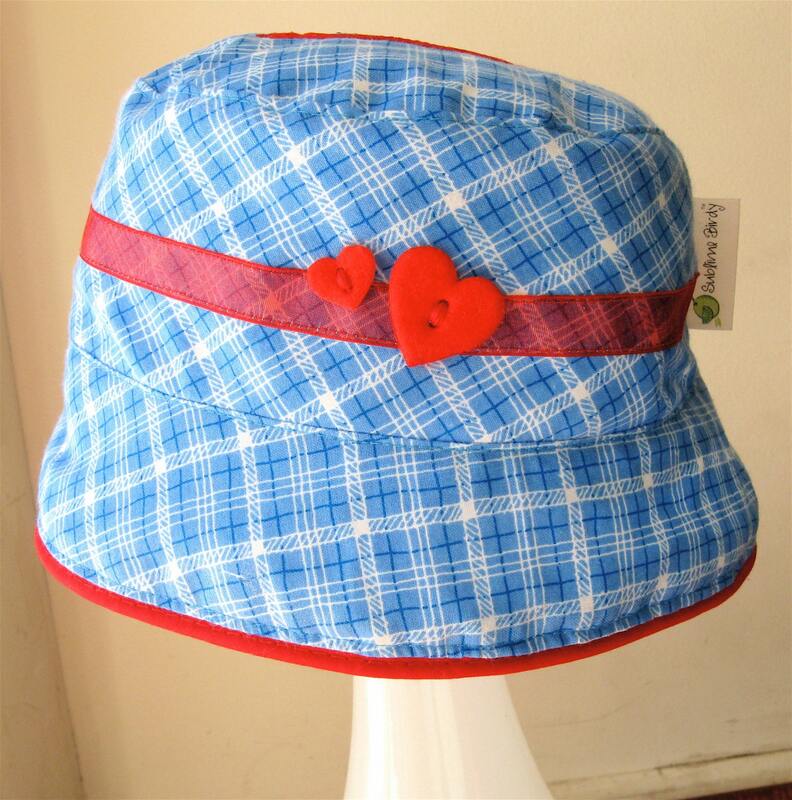 The inside of the hat is lined with fluffy fleece to keep babies head warm and the brim will keep the sun out of their eyes. 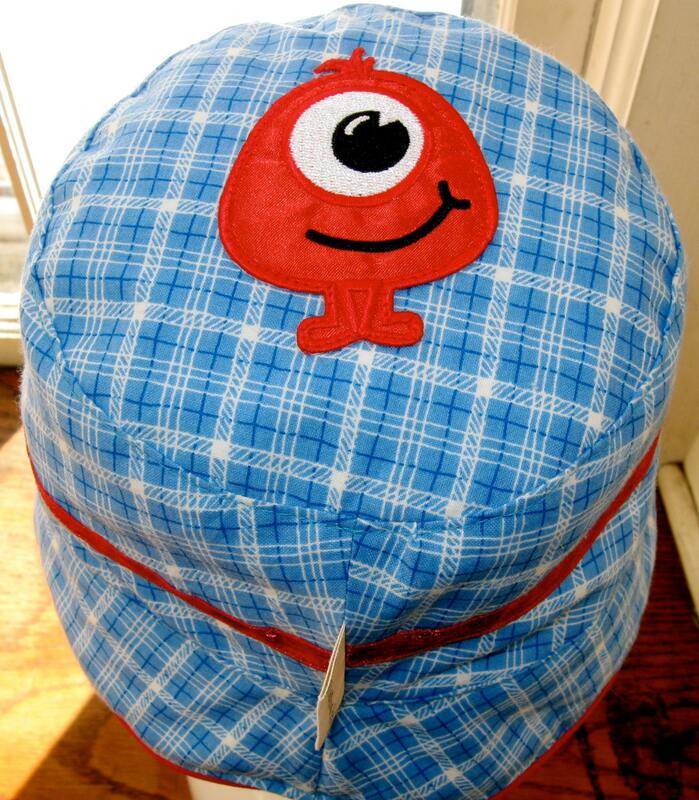 This is a Medium hat sized for 12-24 months with a circumference of 18.5 inches. 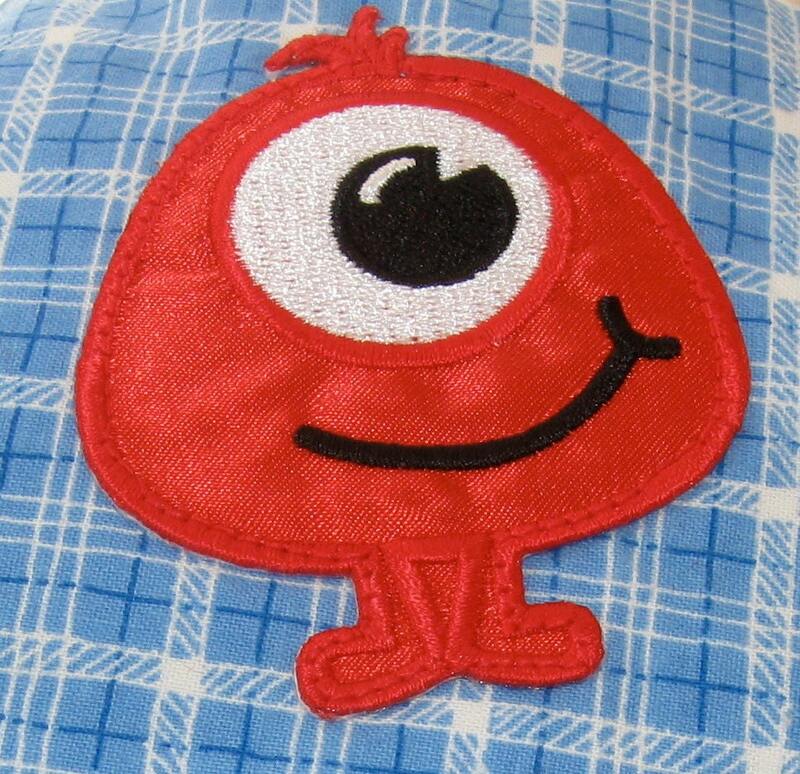 Materials are pre-washed and the hat can be washed in cold water and line dried to freshen up if necessary.